Idelle Okman Tyzbir’s conceptual works unite communities by emphasizing commonalities and delving into areas that engender pride. 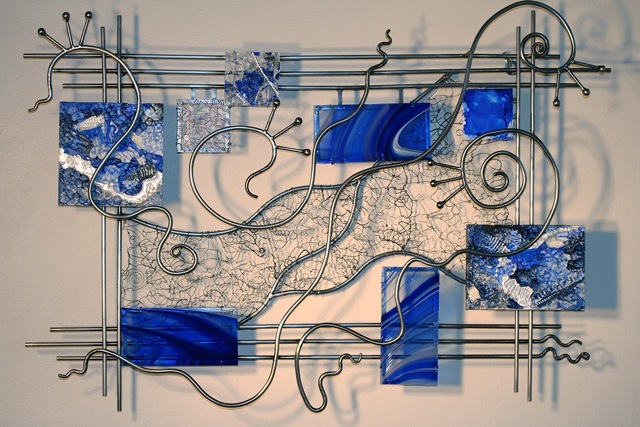 Using a variety of metals, glass and other mediums, she contrasts flowing movement with structured elements to enhance the narrative between these aspects and the viewer. 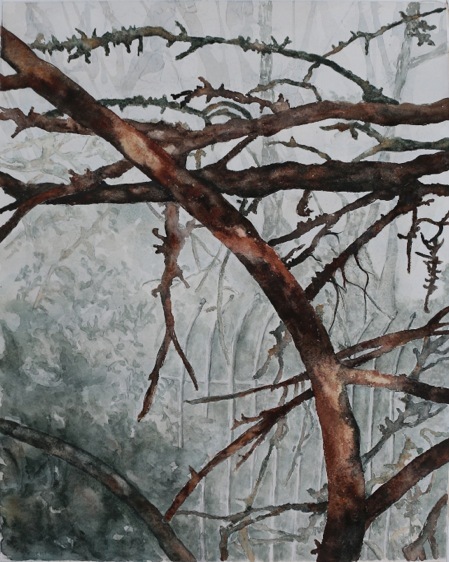 The work engages the audience, encouraging deeper contemplation and revelation, leading to enlightened or emotional connections. Creating pieces by hand, she develops a relationship with the work, allowing for spontaneous modifications. Her hand shows in every piece. 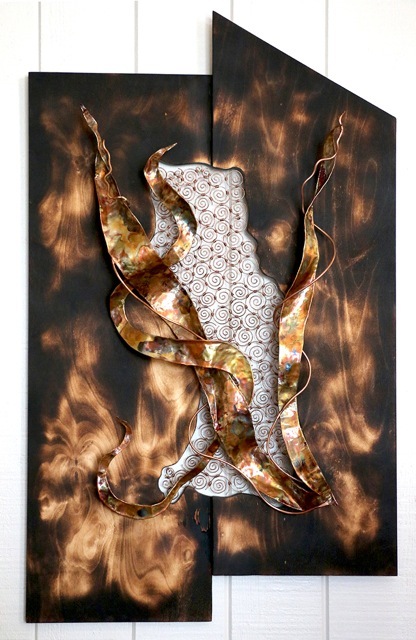 Juxtaposed with her work in metals are Idelle’s watercolors, mixed media, encaustics and photography. She is passionate about making art accessible and an integral part of people’s lives. Tyzbir is academically educated in fine art & design, autodidactic and believes in pushing limits through counsel with other skilled artists and craftsmen. 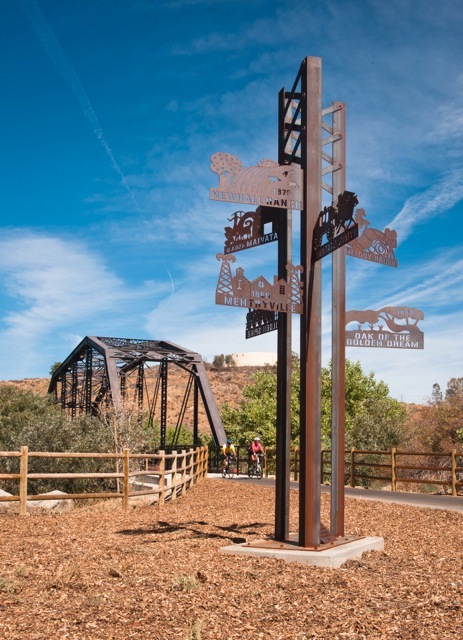 A teaching artist for nineteen years, Tyzbir currently teaches small group watercolor classes and periodic metal sculpture at College of the Canyons in Santa Clarita. An international award winning artist, she also exhibits locally and nationally. Ongoing public art projects are a part of her business practice.